Can you hear the sneakers squeaking on the hardwood? Was that a basketball I heard bouncing? Yep, that’s right, folks. College basketball is BACK! And when my favorite time of year comes around, I can’t help but get excited thinking about getting back into the Historic Hinkle Fieldhouse, home of the Butler Bulldogs. My love for Hinkle Fieldhouse – the sixth-oldest college basketball arena still being used in the U.S. – goes back long before my time at Butler. You see, I grew up on my dad’s stories of this national historic landmark and the people he saw play and make history there. His favorite story to tell is about the 1968 East-West College All-Star Game. My dad and his buddies snuck their way to the seats under the basket, “the best seats in the house,” to watch basketball legend, “Pistol” Pete Maravich play his way to winning the Star of the Stars award. Unfortunately for Maravich, he beat out Purdue legend and Indiana hero, Rick Mount. My dad hasn’t heard “Boo’s” that loud in Hinkle to this day. Looking to give your kids a little history lesson when you’re passing through Indiana? My dad was too, and Hinkle was the perfect place. 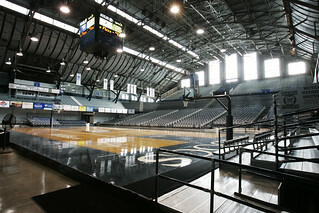 Combine your love for sports and history, and visit the Hinkle Fieldhouse Museum located just inside of Gates 1 and 2. You’ll find fascinating memorabilia, pictures and information about the place where Hoosiers was filmed. Hopefully, you’ll catch a basketball game too. The Butler Bulldogs have made two NCAA Championship Game appearances in the past three years and have just joined the Atlantic-10 Conference. Trust me, you won’t regret it! 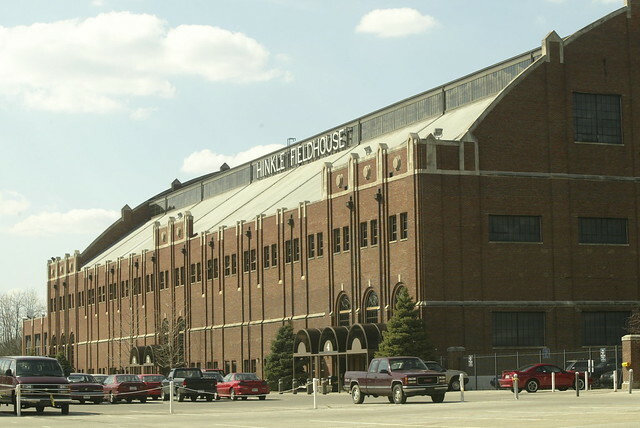 So next time you’re in Indianapolis, stop by Butler University, hear the roar of the crowd and experience the history and tradition of Hinkle Fieldhouse.